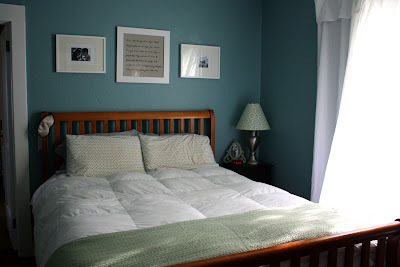 I have to admit, even after painting our bedroom blue I was still skeptical we had found a color we would stick with. 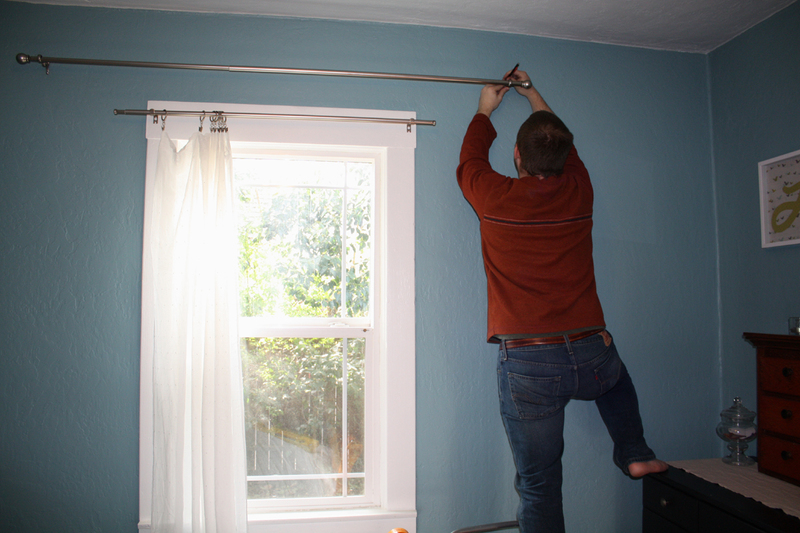 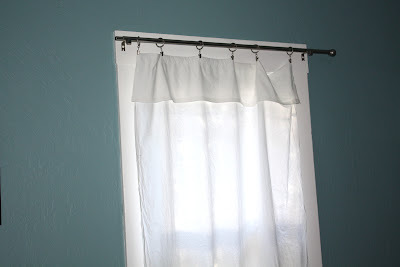 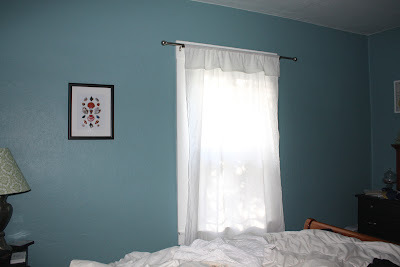 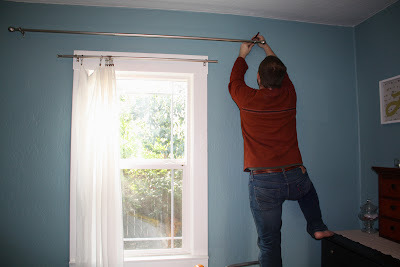 I really liked the shade of blue, but for our small bedroom it was a bit overwhelming ......... until today when we put up the new curtain rods for the curtains I had made. We hung the curtains higher and wider than the window and it did the trick, it made the window look larger. 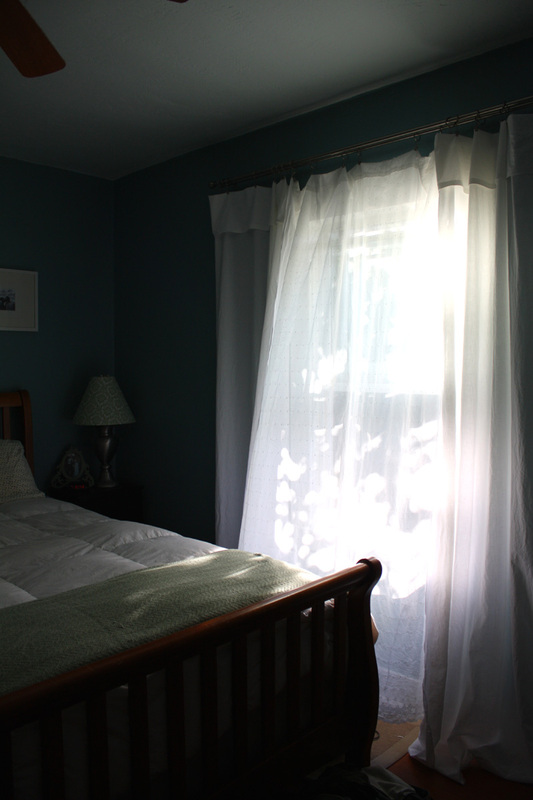 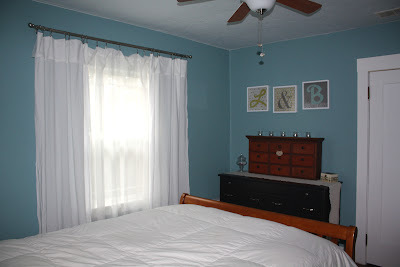 And the billowy, white cotton fabric I used softened the blue of the room and I felt it looked so much better. 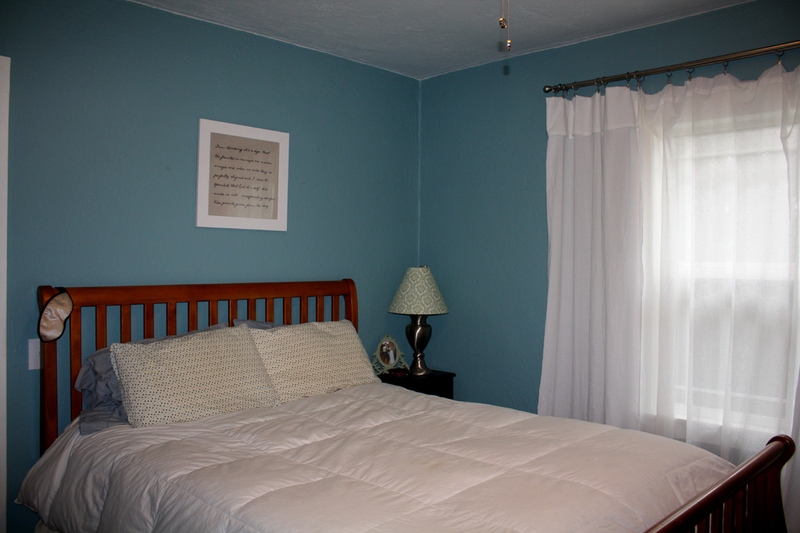 I'll just show you the before and after pictures and then get down to the details of what we did. 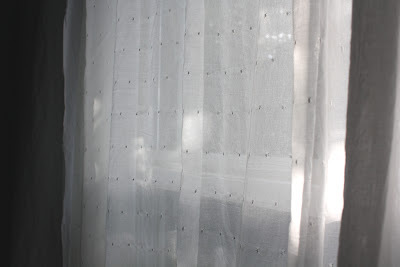 And today when I came home from work and opened the window I had to take a picture of the curtains billowing in the breeze! And the afternoon sun filtering in.........oh, I'm just loving it! 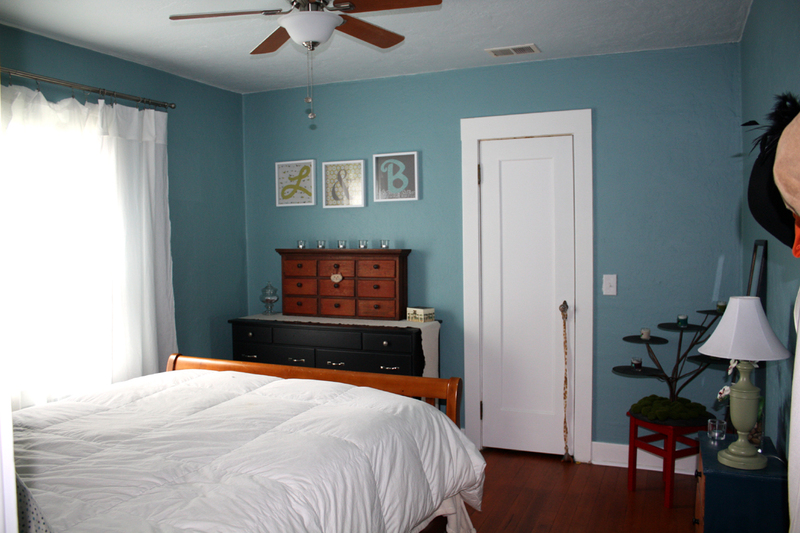 Here's some more angles of the room to show how it's coming together. We still need to add some art but things are improving. I removed the clutter from our dresser and the small drawers on top to place the focus on our letters (talked about here). 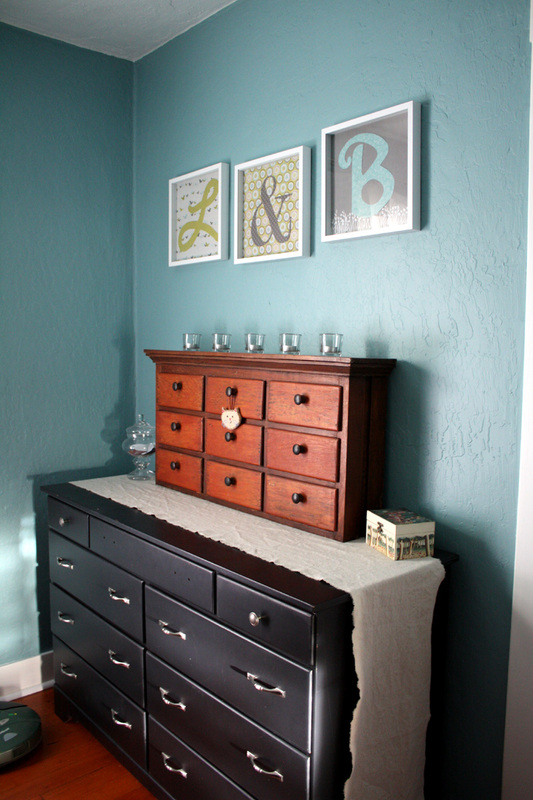 I also added small glass votive holders with tea lights across the top of the drawers and a canvas runner along the dresser to soften things up a bit and add some interest. The frame in the center contains lyrics to one of our favorite songs, "Such Great Heights" by the Postal Service, painted on canvas fabric (talked about here) flanked by two black and white photos from our wedding.